As the leading cause of death in dogs, approximately 1 in 3 will be diagnosed with cancer in their lifetime. So, if you are a dog lover, chances are that someday you will have to deal with this monster head-on. The problem is that cancer is not a single disease – it’s actually an umbrella term for a class of diseases, all of which have slightly different causes, characteristics and responses to treatment. There are more than 200 known types of cancer, and they can occur in any organ or cell within the body. All are characterized by abnormal cell growth that invades and damages normal tissue. It’s sometimes difficult to accept that for all of the money and time pumped into cancer research, there is still so much we don’t know about why it occurs in the first place and what we can do to stop it. We’re getting closer though, every day. We do know that preventing cancer cannot be isolated to just one or two things. In most cases, cancer is the result of a number of different genetic, lifestyle and environmental factors, all coming together to trigger a change in normal cells. So, what can a pet parent do to reduce their dog’s risk of developing cancer? It turns out, there are quite a few things. Here are 10 easy ways to keep your dog healthy throughout their lifetime and to reduce their risk of developing cancer. Feed High Quality Food. Good nutrition is the foundation for good health. Be sure to feed your dog the highest quality food that you can afford. If you’re not up to the challenge of cooking for your dog, look for commercial foods made with quality proteins, human-grade ingredients (or at least ingredients that you recognize and can pronounce), no artificial preservatives or additives and no cheap fillers. Here’s a great article on ingredients to avoid: READ ARTICLE. Many people (myself included) are also proponents of a rotation diet in which several different types of food or protein sources are rotated for variety and to ensure that your dog enjoys a broad spectrum of nutrients. Filtered Water. It’s no secret that tap water contains a variety of toxins and carcinogens, some of which are regulated, and many of which are not. In fact, according to the EPA, there are more than 700 chemicals in our drinking water. So, it makes sense to do what you can to clean up this vital component of good health by using a quality filter to reduce the number of chemicals entering your pet’s system (and it’s good for the rest of your family too!) Learn how to select a water filter: READ ARTICLE. Exercise. Regular exercise is critical to your pet’s overall health and quality of life. More than half of all dogs in the US are obese and just as in people, excess weight can cause a variety of health issues – including cancer. In addition to maintaining a healthy weight, regular exercise also helps to remove toxins in the body, strengthens the immune system, reduces stress, and deepens the bond between you and your pet. READ MORE. Reduce stress. Just as in people, stress affects pets too. Chronic stress, which can be caused by physical conditions, the emotional state of family members, changes in routine or living environment, new pets in the household, and other factors, can have a severe impact on the immune system, can speed up the aging process, and affects their quality of life. Learning how to de-stress your pet’s life through exercise, brain-stimulating games such as treat puzzles and interactive toys, flower essences, essential oils, calming music and/or bodywork and massage can be an important part of their overall wellness. And don’t just stop there. Dogs are sponges for our human emotions and they often reflect the anxiety, stress, sadness and anger that their humans feel. So, take time to distress yourself too and it will help both of you in the long run. Spay/neuter your dog. Some types of cancer, including mammary cancer, are almost 100% preventable when your dog is spayed or neutered and other types of cancer are less likely if your dog has been fixed. Talk with your vet to find out the best time to schedule this procedure for your pet, as in some cases doing it when they are very young is best, and for some breeds, waiting until they have reached maturity is preferred (just make sure they don’t make any babies in the meantime!). Minimize exposure to chemicals and pesticides including flea & tick products. Some lawn chemicals have been linked to the development of cancer in pets and people and in general, overburdening the immune system with chemicals can make it harder to fight off infections and disease. Use natural products whenever possible. READ MORE ABOUT LAWN CHEMICALS & CANINE CANCER. Minimize vaccines. Vaccines are essential to your pet’s health and wellbeing but if given too frequently, or too close together, they can have negative side effects or trigger an unhealthy immune system response. Talk with your vet about implementing a minimal vaccine schedule and spacing out the core vaccines from the Rabies vaccine to minimize risk. Don’t allow your dog to be vaccinated while having other procedures done such as a spay/neuter, and if your dog has been diagnosed with cancer in the past, has a thyroid condition or other illness which has compromised their immune system, DO NOT VACCINATE. Vaccinations are only supposed to be given to HEALTHY animals, and vaccinating a dog with an ongoing health condition could do more harm than good. Consider using titers to check for levels of protection against disease and see if your state has a Rabies waiver for dogs who have previously been vaccinated and should no longer receive boosters. LEARN MORE AT THE RABIES CHALLENGE FUND WEBSITE. Know your dog & do monthly checks at home. Many people rely on their vets to be the first to spot cancer, but YOU as the pet parent, are the first line of defense. Your vet only sees them once every 6-12 months in many cases, for just a few minutes at a time. You are with your dog every day. Get to know what is normal for your dog’s health – you may even want to keep a health journal for them – so you can spot any changes in their behavior or condition right away and get it checked out. And, do a monthly once-over on their body, in their ears and their mouth, to check for any strange lumps, bumps or discolorations. Talk with your vet if you find anything that seems suspicious. Build a relationship with your vet. A lot of pet parents try to reduce veterinary costs by only seeing the vet when their dog is sick, but that’s a mistake. Regular wellness checks are not only good to ensure that your pet is as healthy on the inside as they may seem to you on the outside, but they also help you to build a relationship with your vet clinic staff. Should an illness or disease like cancer arise at any point, you will need to rely on these professionals to guide you through treatment options and sometimes very difficult decisions. Having a good, long-term relationship in place will help you feel more comfortable playing an active role on your dog’s healthcare team, and will help your vet to do their job more effectively as well. All dogs should have at least one annual wellness checkup and older dogs should go in every 6 months for a wellness check and blood panel. Know your dog’s breed. Certain types of cancer are more prevalent in specific breeds of dogs. 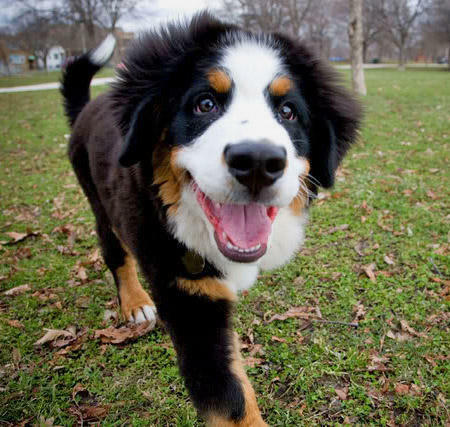 For example, Bernese Mountain Dogs are particularly at risk for developing a type of cancer called Malignant Histiocytosis. Large breed dogs are susceptible to developing bone cancer. Bulldogs, are commonly diagnosed with mast cell tumors and lymphoma. By knowing which cancers your dog may be predisposed to, you can do whatever possible to reduce their risk and educate yourself about the early warning signs so you can address any problems right away. There are no guarantees when it comes to preventing canine cancer, but as pet parents, we can do whatever possible to reduce our dog’s risk of developing it and hopefully, can give them a higher quality of life for whatever time we do have with them. By supporting their overall wellness and immune system function, we can increase their odds of staying healthy throughout their lives and give them a better chance at beating cancer if it does occur. For more information about canine cancer, visit www.FightCanineCancer.com. This entry was posted in Diet & Nutrition, News, Recommended Articles and tagged canine cancer, dog cancer, dog health, dog wellness, preventing cancer in dogs, preventing canine cancer. Bookmark the permalink.